It's time for another exchange, which means it's time for me to introduce you to the family that we will be helping. My husband and I have been married for 3 years and started trying to grow our family roughly 6 months into our marriage. Right away, once we decided it was time to start trying, my body went from having the most predictable cycles to having absolutely no cycle. After waiting the required year, I went in to see my doctor and he referred me to a specialist and I was diagnosed with PCOS. We did 2 rounds of fertility treatments that did absolutely nothing- I still hadn't even ovulated before we had to move due to my husband's job. My husband is a church planter and amongst the stress of our infertility, God called us to Southern Utah to start a church from the ground up. After moving to Utah, I started seeing another specialist who also, even with fertility meds couldn't get my previously healthy body to start working again. After 6 months of fertility treatments and 1 giant cyst on top of the 60ish mini-cysts I had due to my PCOS, I finally ovulated and we got pregnant. We were over the moon excited and told the whole world, we even made and mailed shirts to everyone in our immediate families. One week later we found out we were going to lose that pregnancy and actually got the giant bill for all the fertility treatments as I was miscarrying. We waited 1 month and decided we wanted to try one more time. After going in for some more tests, we found out my husband is more than fertile, so we knew if we could just get my body to work we would get pregnant again...it was bound to stick around this time. We used the last of our savings for one last shot and got pregnant again, but this time around my numbers started so low they had us do an immediate follow up and soon learned that we would be losing this pregnancy as well. I was a mess and thought for sure there was something wrong with me. I had ovulated 2 times in the past 2 years with medical help, got pregnant both times but lost both pregnancies within the first 5 weeks of the pregnancy. That day we were already planning to hang out with some of our wonderful friends, the Deans, who had adopted a little girl and whom had been my sounding board over the past year of fertility treatments and such. My husband and I both had decided while we were engaged that we were going to adopt at least one of our children, and God had been bringing this longing back up in my heart. I had mentioned adoption to my husband a couple of times, but he is much more methodical than my emotion led self. 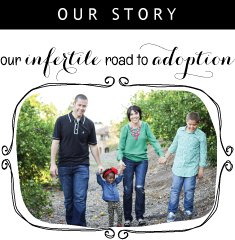 The morning after my last miscarriage my husband told me that he thought that it was time we looked into adoption and that this is where God was leading us to. I texted my friends, the Deans, told them on top of hanging out we wanted them to tell us everything they knew about adoption. That night we talked for hours and on the way home my husband and I both knew that we were supposed to adopt. Our doctor had told us that he wanted to do one more round of fertility meds and said if I miscarried again them he would do some testing to see what what wrong with me and why I was having recurrent miscarriages so soon after conceiving. We were completely broken-hearted and couldn't imagine losing a 3rd baby in just 5 months time. Instead of calling my doctor we called an agency (Emmy's amazing agency) and a social worker to schedule a home study. We immediately began trying to rebuild our depleted savings from our fertility treatments along with the costs of two miscarriages. We finally saved up enough money for our home study and all the finger printing and back ground checks. As I was doing all the paperwork I felt an urgency in my heart to get all the work done as quickly as I could. Everyone told me not to rush, but I didn't feel rushed; I felt pulled to get it done. I decided that once the paperwork was done we would start fundraising and try to raise as much money as possible. We turned in our paperwork including our family profile within 3 months of our last miscarriage, the end of February, and then 1 week later we were told we were matched with a birth mom that was due in 1 month. I went from feeling accomplished that the adoption paperwork was completed and we could finally start bringing baby stuff slowly together and start our fundraising... to frantic that now we had $43,000 to raise in 1 month as well as buy everything a baby may possibly need. I prayed and freaked out and prayed some more and started trying to fundraise some type of money, apply for loans and quickly buy as much cheap baby stuff as I could that we would need right away. The story of being matched with our birth mom and even agreeing to being shown to a birth mom that was so expensive is on my blog. I already am too wordy, but it was all God ordained to say the least. God had expressly told us no to another birth mom's profile, and then we read our birth mom's profile and knew, she was ours. We spent the week before our Jordan was born with our birth mom and birth dad, and God had even put the same name, Jordan, on all four of our hearts. We are still extremely close to our birth parents and love that God knew during both of my miscarriages that my baby was already conceived and was waiting for me to find him in God's plan. We managed to get loans to barely cover all of Jordan's costs as well as close to over extended our bank account the month he was born, but God always provided, just barely. We have been slow and steady in our fundraising and slowly saving money each month and are currently working on raising the last $25,000. 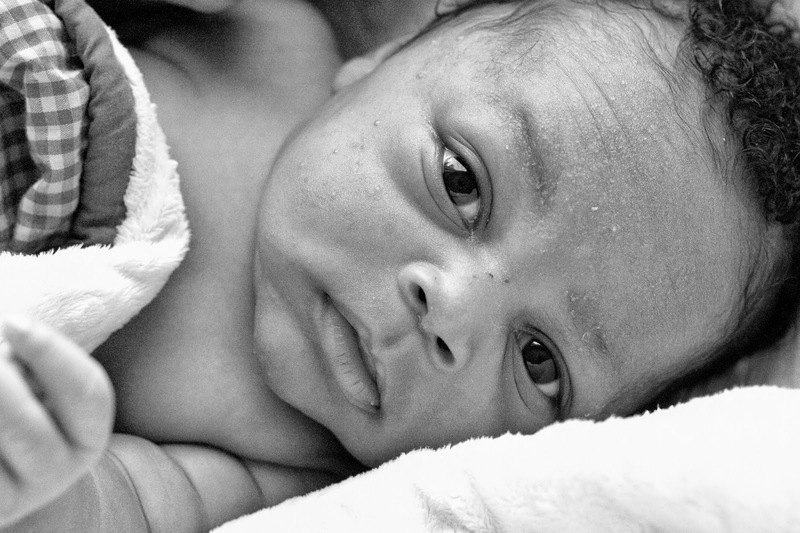 Sometimes a baby comes home long before the bills are paid, in God's amazing timing. That is the Nadalsky's story. I'm so excited to be able to help them pay back some of the loans that they owe... getting them one step closer to fully-funded! One change that I am making to the Adoption Fundraiser Exchanges is that from here on out each exchange will support one family AND the Choose Joy Conference. The funds will be split 50/50. One exchange... two causes... win-win. If you are interested in helping the Nadalskys and supporting Choose Joy, click here to sign up for the Summer Garland Exchange. The sign-ups will be open until Friday, May 30th, so go sign up now! Don't delay!